How do you add a thin outline? I am new at this. I am extracting files a game. In the game they have thin black outlines, but they aren't part of a model. I am having trouble finding anything about this. What is the simplest way to do this? Update: I think I am looking for something like freestyle. What is the simplest way to use this to create a thin black outline around a model? 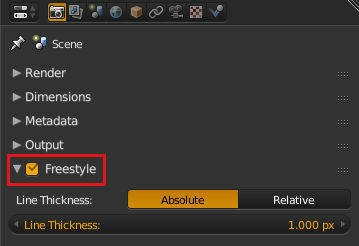 In your render settings enable freestyle. Under render layers add a freestyle line set. The line thickness is a quick way to adjust the size of the line drawn. 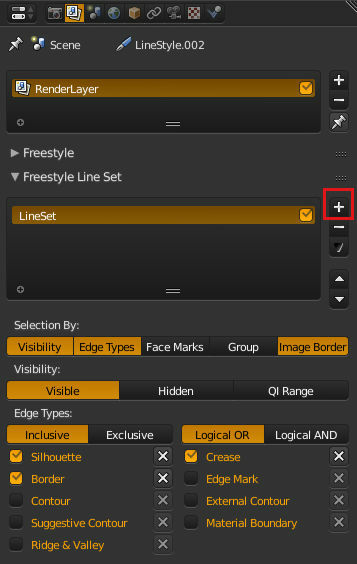 For more control over what edges are used to draw lines and how the lines are drawn, you will need to look through the freestyle documentaion. Render the object again, this time normally. There are other ways to do it, (for example with some normal calculations), but this one is fairly common. How to recreate this effect in Blender? As mentioned in the answer by @sambler, you could use freestyle. Duplicate your model and put the clone on another layer. Add a Wireframe modifier to the clone and change it's material to the outline material. Exclude the wireframe clone's layer from your scene rendering. Add another render layer, rendering only the layer with the wireframe object. Composite them together with a Z Combine. Make sure the Z values of the Wireframe are always greater (farther behind) than the object, but never too far that they get hidden by other objects. Assign each one a different material. You can join the meshes if you want. Make the outline's material transparent when front facing and black (outline color) when back facing. Similar to 2. Probably my favourite. Enable object (or material) render pass in your render layer. In compositing, use the ID mask to cut out your object. 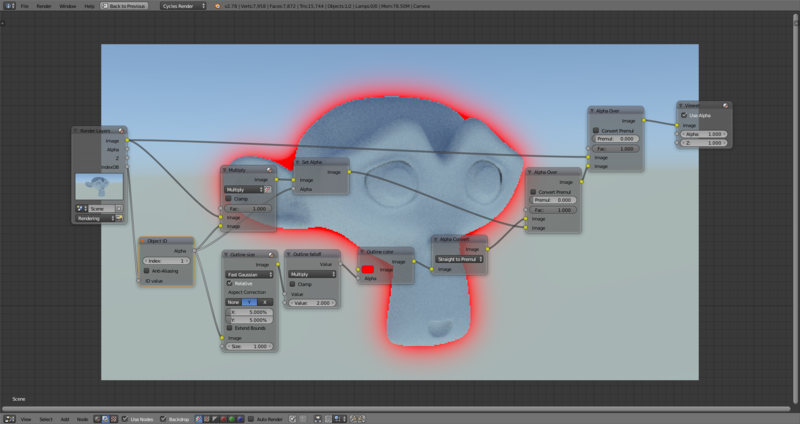 Blur the mask, color it and use alpha over nodes to put all together. In the screenshot, I've labelled the nodes with their function so you know wich values to tweak. Not the answer you're looking for? Browse other questions tagged modeling rendering freestyle or ask your own question. 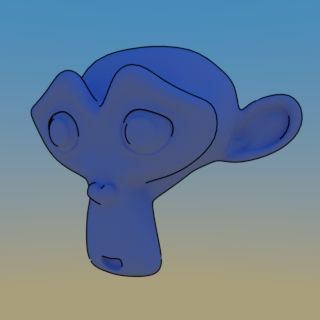 Is it possible to render an object just with the normal map? How can I improve the realism of my pencil texture lines in freestyle?